Music is a mecca of emotions that can live on for decades, forming a common thread between generations. Inspired by great artists of the past and present, the Youth Orchestras of San Antonio (YOSA) learns and creates music to some of the most influential songs in history. 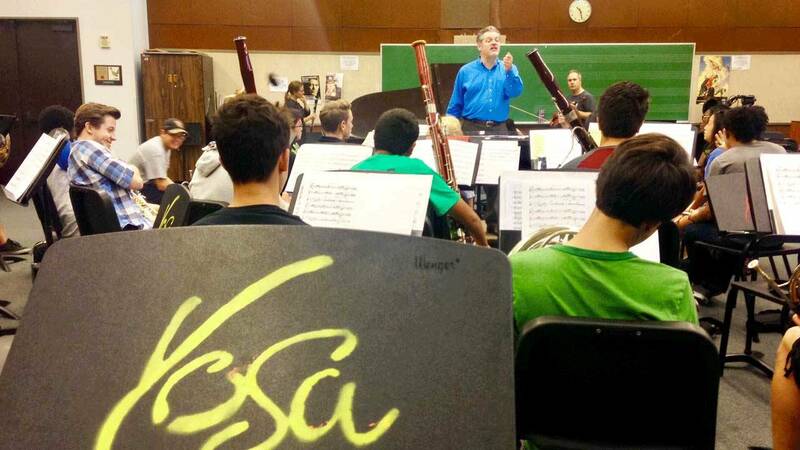 ARTS was present for YOSA’s latest rehearsal, a classical music tribute to legendary artist, David Bowie. YOSA’s history traces back to more than 60 years, when Lewis Doll, music director of the San Antonio Independent School District formed the first youth orchestra. Later on it expanded to students outside the district, beginning a new program that would offer free classes to students after school. Since then YOSA has provided an outlet for students to practice music with like-minded peers and learn from mentors to perfect their craft. The program has grown to create new levels of experience for the students by including international tours to other countries such as Austria, Germany, Canada and Australia. The mission of YOSA is to enhance education and transform lives by pursuing excellence in classical music through a stimulating and fun environment. With a professional and fun attitude, students are getting ready for their upcoming tribute performance to David Bowie. The performance will put a classical spin on songs inspired and enjoyed by the Starman himself. The concert is part of YOSA’s Gold Series 1 lineup featuring SOLI Chamber Ensemble, with conductors Troy Peters and Kenneth Freudigman. The program will also include two popular orchestral works, the 1812 Overture and Arturo Márquez’s Danzon No.2. YOSA’s Gold Series 1 performance is Sunday, Nov. 6 at the Tobin Center for the Performing Arts, the concert will take you through a Bowie-approved musical journey of sound and vision. Watch this exciting episode of ARTS airing on Thursday, Nov. 2 at 8 p.m. on KLRN.